The CFD (Contract-for-Difference) space has heated up in recent years, with both casual and more experienced traders now able to speculate on a range of financial products without needing to actually own or store the underlying asset itself. As such, this makes CFDs ideal for those that want to make seamless investments in a safe, secure and user-friendly eco-system, without the burdens of having to utilize the services of an offline broker. However, with hundreds of leading CFD brokerage platforms now operating in the market, how do you know which one is best suited for your individual needs? In our comprehensive CFD Brokers guide, we’ll point you in the direction of the very best CFD platforms for 2019 and beyond. If you’re based in the UK and looking for the best CFD brokers, we would suggest taking a closer look at some of the following platforms. 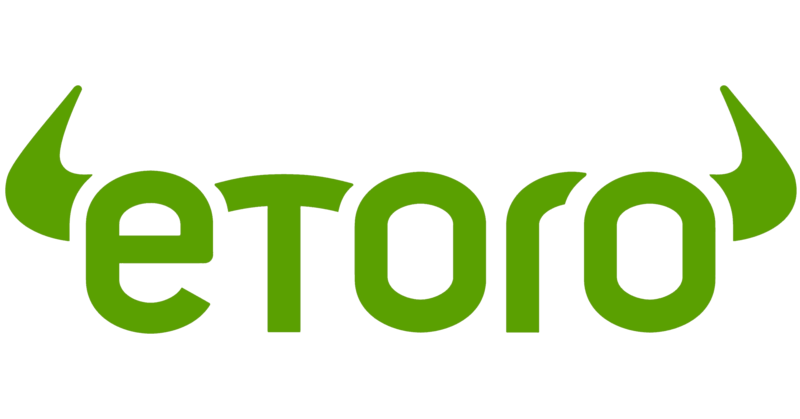 eToro are often regarded as the hallmark choice for online CFD trading, not least because their platform is super easy to use, has an excellent range of assets to choose from and is in full receipt of the required regulatory licenses. Moreover, it was eToro that paved the way for the now hugely popular phenomenon of social and copy trading. Launched backed in 2010, Markets.com are an ideal CFD platform if you are still relatively new to online trading. Not only is the Markets.com platform highly favorable to beginners, but traders also have access to a full suite of educational tools. In terms of regulation, Markets.com are licensed by CySEC in Cyprus, ASIC in Australia and the FCSA in South Africa. Much like in the case of eToro, CFDs can be traded in a full range of asset classes. This includes commodities (hard metals and energy), currencies, bonds, ETFs, indices and of course, traditional blue-chip stocks. Plus500 are one of the largest and most well-established players in the CFD brokerage space. In fact, the entity are listed on the London Stock Exchange, and the CFD platform is fully regulated by the UK’s FCA. Plus500 have the capacity to facilitate a plethora of CFD products, including but not limited to ETFs, stock indices, currency pairings, shares and even cryptocurrencies. Trading fees, alongside average PIPs, are ultra-low, which is great for high-frequency traders. On the other hand, a slight drawback with the Plus500 platform is that leverage financing costs are on the high side. If leverage isn’t your thing anyway, then this shouldn’t be an issue. 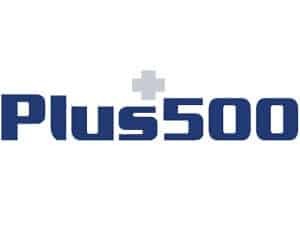 When it comes to user-friendliness, the Plus500 trading website is easy to navigate through on both their online and mobile platforms. Due to regulatory uncertainties, access to online CFDs platforms for those based in the U.S. is somewhat limited. However, there are still a good number of well-regarded platforms that allow U.S. citizens to deposit, trade and withdraw funds with ease. Established back in 1995, VarengoldBank FX are a German-based brokerage firm that among many other financial instruments, facilitate CFD trading. Regulated by BaFin in Germany, U.S. citizens are eligible to join. In terms of the CFD products available at VarenGold, this mainly centres on currencies, commodities and indices. An additional well-established CFD broker that is also U.S. friendly is that of OANDA. Launched in 1997, the platform is home a good selection of educational materials, customer support is highly rated and payment channels includes PayPal. The OANDA brokerage platform is ideal for those that like to trade currency-based CFDs, as more than 72 currency pairs are listed. ❌Less CFD products in comparison to other leading brokerage platforms. Launched in 2007, Zulutrade are an online CFD platform that specialize in both social and copy trading features. This subsequently allows non-experienced users to copy the trades of seasoned traders, all within one easy-to-access ecosystem. The useful thing about Zulutrade for those based in the U.S. is that they have integrated their platform with other leading brokerage firms. As such, Zulutrade will ensure that you only place trades with platforms that allow U.S. citizens. ❌Has a reputation for hosting too many unprofitable copy traders. 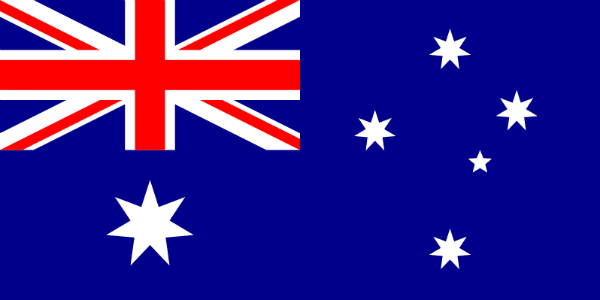 If you’re based in either Australia or New Zealand, then we would suggest taking a closer look at Plus500. Not only do Plus500 have ultra-low pips and competitive fees, but the platform is authorized to accept residents from both Australia and New Zealand. If you are still at the very start of your CFD trading journey, then we would suggest you consider eToro. They have one of the most user-friendly platforms in the CFD arena, as well as a highly comprehensive copy and social trading platform, should you need it. If you are an experienced CFD traders looking to utilize a range of high frequency methods, then the likes of Vantage FX is potentially best suited for your needs. Through the use of an electronic communications network (ECN) and straight through processing (STP), traders not only have their trades executed in an ultra-fast manner, but direct market access is also available. If keeping trading fees to an absolute minimum is your main priority, then we would recommend heading over to Plus500. This highly established and heavily regulated CFD broker has some of the lowest fees in the industry. Not only are CFD trades commission-free, but major asset classes have significantly low spreads. These are some great brokers and we definitely recommend trading on them. 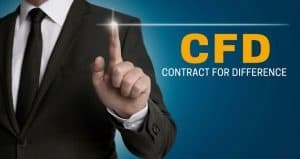 In general though, a good way to find the best CFD broker for you is to do some research on fees and the number of CFDs available on the platform you are interested in. While the CFD space is now somewhat over-saturated, the likes of eToro are potentially at the top of the tree when it comes to reputation. The company behind eToro essentially created the social trading phenomenon, subsequently opening up the doors to less experienced traders. A Contract-for-Difference, or simply a CFD, is a financial product that allows investors to speculate on an asset without needing to own or store it. This is especially useful for those that want to invest in hard assets such as Gold, Silver or Uranium, as there is no requirement to actually hold the asset in question. However, the potentialities of CFDs does not stop at just hard assets. You can invest in virtually all of the same asset classes that you would expect to find on major exchanges. This includes the trading of currencies, commodities, indices, ETFs, interest rates, options, futures and even cryptocurrencies such as Bitcoin. How does a CFD broker work? In its most basic form, a CFD broker is a third party platform that facilitates the trading of CFD instruments. Essentially, the CFD broker will enable you to deposit funds, trade and subsequently withdraw your money back out. Each CFD broker has their own pros and cons, which ranges from fees, user-friendliness, regulatory status, accepted countries, number of asset classes and more. What difference is there between trading CFDs and buying assets outright? The fundamental factor that separates CFDs from that of traditional assets is that you do not actually own the underlying asset. For example, when purchasing blue-chip stocks through a conventional broker, you essentially own equity in the company in question. This gives you certain perks, such as the ability to receive company dividends, or the right to vote. On the other hand, as CFDs merely represent the performance of the underlying asset, there is no ownership and thus, perks that you would otherwise receive by owning the asset are not present. An additional benefit to investing in CFDs over traditional equity is that you not only have the option of going long, but also short. This means that you can speculate on the asset losing value on the open marketplace, as opposed to making gains. CFDs are categorised as leveraged assets, meaning even though there is a risk of losing funds, like there is with all trading activities, by making small investments you can make great profits. What kind of CFD brokers are there? In the vast majority of cases, leading online CFD brokers will utilize the Metatrader 5 (MT5) trading platform. Unlike its MT4 counterpart, the MT5 platform is highly suited for facilitating a range of CFD-backed financial markets. An alternative trading platform that some leading CFD brokers utilize is that of cTrader. Launched in 2011, some commentators argue that cTrader is best suited for first time traders, not least because it commonly facilitates copy trading features. What type of CFD trading accounts are there? While each CFD broker will have their own underlying account types to choose from, in the majority of cases this will consist of either a 'retail client' or 'professional/institutional client'. Regarding the former, this is essentially best suited for casual traders that like to trade on a part-time basis. Once again, although this will differ from broker-to-broker, retail CFD clients will usually be restricted to ultra-low leverage levels, as well as having negative balance protection safeguards automatically installed. On the other hand, and as the name suggests, professional/institutional client accounts are suited for highly experienced traders. By falling in to this investor bracket, you'll like have the option of obtaining high leverage levels, as well as having the capacity to go into negative balance. One of the key drawbacks to a professional trading account is that you might not be accustomed to investor compensation schemes that are available in certain countries, such as the UK. In order to assist you in your search for a CFD broker that best suits your individual needs, check out the following 10 tips. First and foremost, it is crucial that you check what regulatory licenses the CFD broker holds. In most cases, brokers will be authorized to offer their CFD products by regulators in multiple jurisdictions. If the broker is not licensed by a single notable body, then you need to look elsewhere. You need to spend some time assessing how much you are going to be charged to use the CFD broker. Fees can be somewhat tricky, not least because they cover a range of different factors. In most cases, this will include commission, leverage costs, trading fees and the cost of holding assets over night. It is also a good idea to conduct some independent research on how well received the CFD broker is by the online community. This can include reviews that are available in the public domain. It is also worth ascertaining when the CFD broker was launched, as those with a longer trading history generally have a better reputation. While leverage isn’t important to some traders, others view it as a highly important trading mechanism. The amount of leverage you are able to obtain from a CFD broker will depend on a number of factors, however this commonly centres on your geographical location, and whether you are a retail or institutional investor. 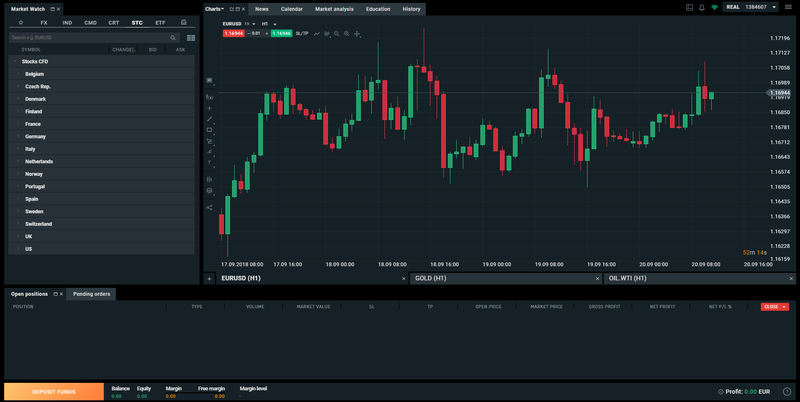 If you are a CFD trading beginner and like the sound of social or copy trading features, then spend some time finding out how the CFD broker facilitates this. You need to ensure that the platform is fully transparent on how it generates its performance statistics, insofar that you want to ensure you are actually backing a successful long-term trader, rather than somebody that has experienced a couple of lucky months. Often overlooked, always spend some time understanding what payment methods the CFD broker supports. You don’t want to go through the rigmarole of opening an account, only to find that your preferred payment channel is not available. Moreover, you should also check what the minimum and maximum deposit amounts are. It gripes us when CFD brokers do not offer their users a comprehensive avenue to research market fundamentals. If possible, choose a broker that has a good offering of key market analysis. If you are a beginner, it’s also worth checking whether the CFD broker offers any useful educational materials. The spread is the difference between the CFD buying price, against that of the current selling price. In a nutshell, if the spread is high, it generally means that liquidity levels are low, and volatility is high. As such, always choose a CFD broker with tight spreads. As you depositing your own hard-earned money, you need to ensure that you are using a CFD broker that places security at the top of its priority list. One example of a crucial safeguard is that of two-factor authentication. This will require you to enter a unique code that is sent to your mobile phone every time you want to perform key account functions, such as logging in, trading or withdrawing funds. Number of CFD asset classesIf you like the option of trading of a wide variety of asset classes, then make sure that the CFD broker in question offers a good number of markets. This should generally include currencies, commodities, indices, shares, ETFs and in some cases, cryptocurrencies. If you are at the stage where you have selected your preferred broker, registered an account and then subsequently deposited funds, you should ensure that you have a firm grasp of key CFD practices. Take a look at some of these key factors below. Firstly you need to choose your preferred market. This might be currencies, ETFs or shares, for example. Once you’ve selected your desired market, you then need to choose the asset that you want to trade. For example, if you opted for blue-chip shares, then this could be Apple or IBM. As we noted earlier, one of the key benefits of CFD trading is that you can speculate on the asset going up in value (long), or alternatively, losing value (short). If you want to go long, then you’ll need to ‘buy’ the asset. On the other hand, if you want to go ‘short’, then you will instead need to ‘sell’ the asset. Regardless of your experience in the CFD trading space, it is crucial that you set-up stop losses. This will automatically close a trade when the value of the asset hits a certain position. Ultimately, this can be the difference between making a small loss, or your balance in its entirety. Perhaps most importantly, you need to ensure that you understand how much you are risking on each CFD contract. You have the option of determining how much you want to stake for each movement in price, which is referred to as a 'tick'. Each market will have its own tick value too. For example, if you want to buy a CFD in Apple, and one tick is represented by $0.01, then every time the share price moves by 1 tick, you profit or loss will be multiplied by $0.01. Continuing on from the same example, if you choose to stake $0.50 per tick, and the share price of Apple increases by 10 ticks, then your profit would be $5. Although this is an art that takes time and effort to perfect, it is worth spending some time learning how to read charts. Known as technical analysis, many traders rely on chart analysis to predict how the market might move, based on historical trends. When we went through the evaluation process of rating each broker, we took into account a range of key factors. This included whether or not the broker is regulated and by whom, the fees charged, the number of CFD assets, user-friendliness and reputation, among many other factors. Ultimately, we decided to break each recommendation down by certain segments, such as the best broker for UK or U.S. citizens, or the best platform for beginners. This way, it allows you make an informed decision as to the best CFD broker for your individual needs. If you’ve read our guide from start to finish, you should now have a firm understanding as to the many factors that you need to consider when choosing the right CFD broker. Essentially, there is no one-size-fits-all approach, not least because each platform will have their own advantages and disadvantages. The best approach that you can take is to perform your own research prior to signing up to a new broker. We hope we’ve made this approach more conducive for you, by pointing you in the right direction. Which online trading company is best for buying stocks? This is a complex question to answer, not least because each trading platform with have their own pros and cons. If you are looking to speculate on the price of stocks in the most convenient way possible, then it might be worth using a CFD broker. Can I buy stocks online? If you want to buy stocks online, then there are a range of brokers that can facilitate this for you. If you are instead more interested in speculating on the underlying asset in the most cost effective and efficient manner, then a CFD broker might be more up your street. What fees do stockbrokers charge? The fees charged by conventional stockbrokers will vary from broker-to-broker. However, it is important to remember that traditional stockbrokers will charge a lot more than CFD platforms. The key reason for this is that stockbrokers must be remunerated for their efforts, insofar that they actually purchase the stocks on your behalf. In effect, you can, however this process is primarily reserved for institutional investors. Unless you fall within this bracket of investor, then you will likely need to use a broker. What assets can CFDs be used to purchase? Virtually any asset class can be represented in the form of a CFD. Notable examples include currencies, shares, ETFs, indices, interest rates and cryptocurrencies. What does ‘Going Short’ on a CFD mean? If you ‘Go Short’ on a CFD, it means that you are speculating that the value of the underlying asset will go down. If it does, then your trade will result in profit. What is the best way to get exposure to the CFD trading space? Before you start trading with your own money, it is crucial that you gain a firm understanding of how the marketplace works. Even better, some CFD brokers allow you to open up a demo account, which is a great way to get comfortable trading CFDs. CFD stands for ‘Contract-for-Difference’. However, they are usually just referred to as CFDs. This depends. If you implement the correct safety procedures, such as installing stop-losses, then CFD risk-levels can be controlled. On the other hand, a failure to set-up stop losses and utilizing leverage can be very high-risk. Is leverage available when trading CFDs? In most cases leverage is available when trading CFDs. However, this is usually dependant on your investor status. Institutional investors will most commonly be offered high leverage levels, due to their experience of the marketplace. While retail investors can be offered leverage, this is usually limited to ensure that you do not experience significant losses. Will I receive dividends for the CFD shares I invest in? Unfortunately not. As you are speculating on the movement of the underlying share price rather than actually owning the stock, you would not be accustomed to dividend payments. For this you would need to purchase conventional stocks from a broker, rather than a CFD. 8 What is a CFD? 9 How does a CFD broker work? 10 What difference is there between trading CFDs and buying assets outright? 11 What kind of CFD brokers are there? 12 What type of CFD trading accounts are there? I just bought bitcoin on Coinbase and my account is blocked. What should I do? Sorry to hear that. I think what you could do is try contacting customer support to try and reactivate your account. We know that in general, Coinbase blocks a high number of withdrawals, deposits and accounts on a daily basis, so the exchange is certainly not the best out there. I’d recommend trying to invest in eToro instead. You can find everything you need to know about it on our eToro review. Which trading is less risky, CFD or stock trading ? Which platform have you chosen? I am thinking about eToro, but I am also worried about withdrawals. Is that a problem?